Curly hair is something that any woman can sport, at least for a short period of time. Are you unsure if that’s true? Well, just think about it. Unlike wavy hair, naturally curly and curled hair looks exactly the same. And waved hair appears a bit messy or, so-to-say, clumsy, with locks lying in alternating directions or simply too polished. Of course, a professional hair stylist is capable of creating naturally-looking waves, but we don’t have one at our service every day. So, it’s a smart choice to curl your hair instead of waving it. And no one will ever guess you did that! 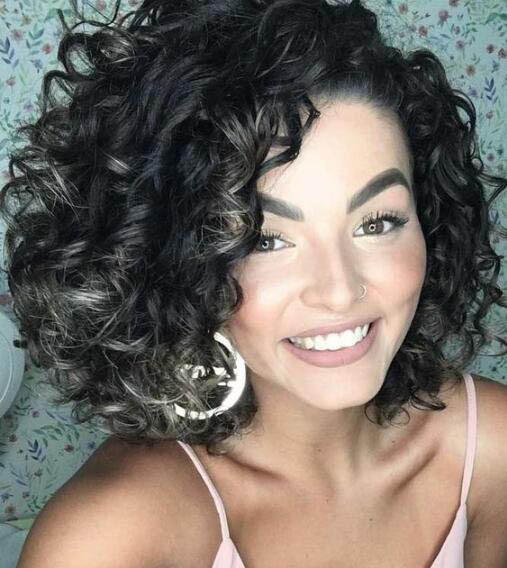 When it comes to curly hair, hair stylists differentiate short curly hair, medium curly hair, shoulder length curly hair (don’t confuse these two), and long curly hair. But besides the obvious difference in length, these types of curled hair have different styling tricks and involve different types of curls. Short curly hair is the easiest to style. Depending on your hair texture, choose the curling method. When your hair is clean and wet, apply the curling product of your preference and curl your hair. Finish with hair spray. Unlike short and revolting, shoulder length curly hair appears quite gorgeous, which makes it appropriate for multiple occasions. Plus, you won’t have any difficulty in styling it or make it long-lasting. As for medium curly hair, it’s a bit tricky to style and maintain it. And to tell the truth, if your hair is thick, the curls will start falling apart soon, even if you apply a ton of hair spray. Besides, this length won’t allow for super-tight curls. Long curly hair appears especially feminine and oozes romantic vibes. You will easily achieve tight and bounce curls if your hair is naturally wavy and fine. But unfortunately, owners of thick hair are unlikely to sport a long curled hairstyle for a long time. However, the right, generous amount of a holding product will help make it through a single event like a date or a birthday party.